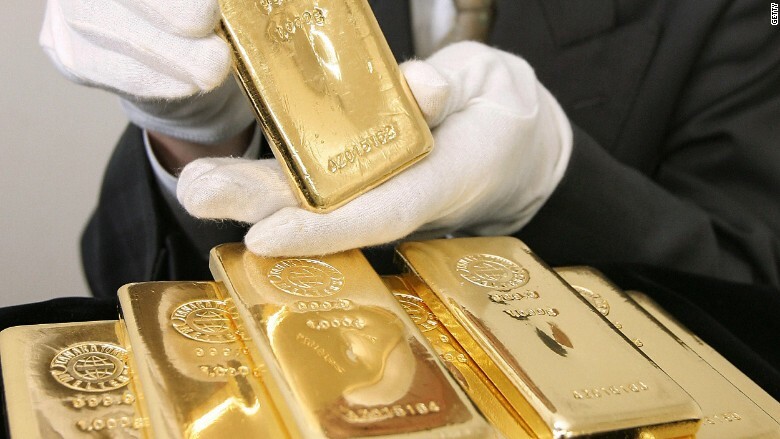 Swiss regulators are investigating seven big banks over their precious metals trading. Here we go again. Switzerland's competition regulator has begun probing seven major banks for rigging prices in the precious metals market, including gold and silver. The banks named in the investigation are UBS (UBS), HSBC (HSBC), Morgan Stanley (MS), Barclays (BCS), Julius Baer (JBAXY), Deutsche Bank (DB) and Mitsui (MITSY). The regulator said Monday that the banks are suspected of colluding while trading gold, silver, platinum and palladium. Julius Baer and Mitsui bank said they were cooperating with the authorities. The other firms did not provide comment on the matter. U.S. regulators and the European Commission are also reportedly investigating similar trading issues in the metals market. The latest investigation follows a string of successful international probes that have resulted in billions in banking fines. U.S. Attorney General Loretta Lynch said some of the banks "participated in a brazen display of collusion and ... manipulation." Separately, in November 2014, six big banks agreed to pay over $4 billion in fines to global regulators to resolve allegations that they attempted to manipulate foreign exchange rates. HSBC, UBS, JPMorgan Chase (JPM), Bank of America (BAC), RBS (RBS) and Citibank (C) paid their fines to the U.S. Commodity Futures Trading Commission, the U.K.'s Financial Conduct Authority and the U.S. Office of the Comptroller of the Currency.